The study, conducted last year, resulted in a list of 500 apps relating to health matters. Skeptics (myself included) will say that of course Lansley’s saying things like that – his aim is to bring about huge cost savings in Britain’s much-loved National Health Service. Some people think he wants to privatise it completely (although others say that such a move would be disastrous for the party that attempted it). I’m no fan of the current government, but let’s put politics aside for a moment. It is fair to say that this government is much more interested in technology than any that has gone before, and good things are happening as a result. 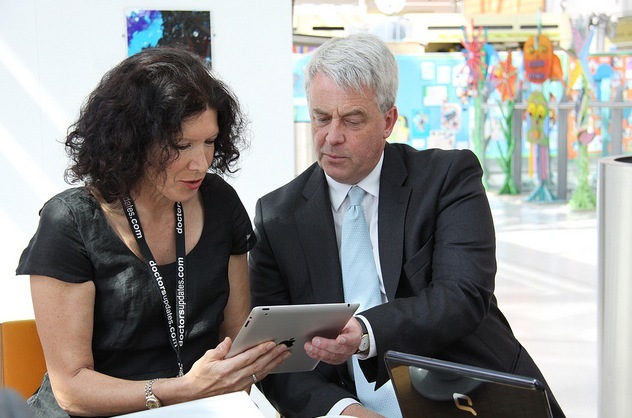 Parliament is experimenting with iPads for staff. A team of highly respected web experts is building a new,single-domain government website (and doing a really impressive job of it). Where technology is concerned, this government is not afraid to experiment with new ideas. That’s why, although I have my doubts about almost everything that the Health Minister does or says, this particular initiative sounds like it might be a good idea. After all, if the majority of people are carrying smart devices in their pockets, why shouldn’t they be encouraged to put them to good use to monitor and track their own health?